We are pleased to announce we are holding our first show in 2014 at Dam House this coming Saturday 5 July. This is just one of the events being held there including a brass band. A great time is promised for all the family and art lovers alike! 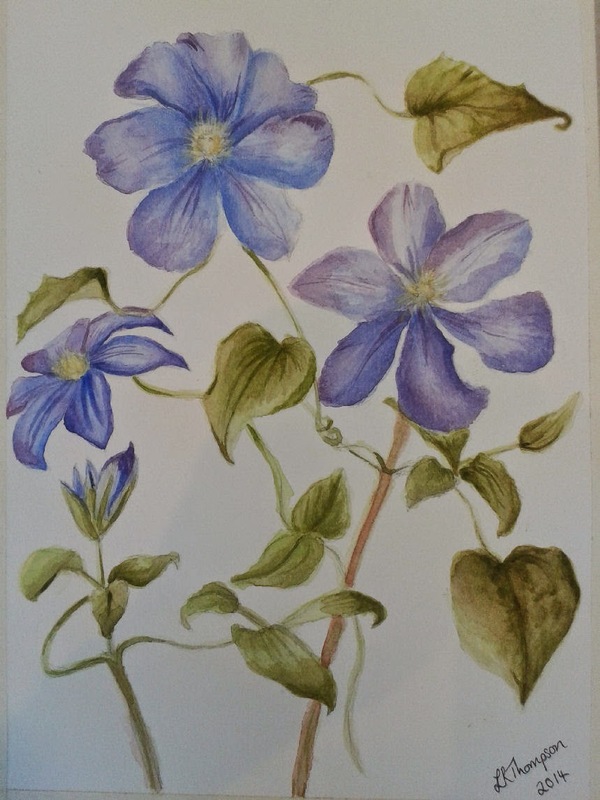 Meanwhile here is "Clematis", a watercolour by L Thompson.